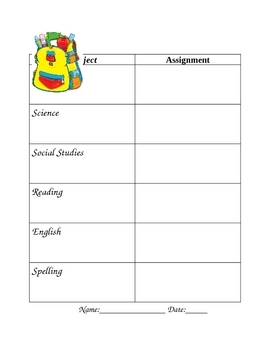 A form for the teacher to fill out when a student is absent of assignments missed. The form can be sent home with a homework buddy or picked up at the office with the student's guardian. All subjects are covered and a space for the date missed.